The IIIB’s Foundation participated at the Inova Loudoun Hospital Life with Cancer and Loudoun Breast Health Network’s Pathways to Survivorship: A Breast Cancer Survivors’ Retreat at Inova Loudoun Hospital. Attendees enjoyed an array of complimentary giveaways and services including: wigs, bras, scarves and hats; soft pocket prostheses; makeup kits and makeovers; bra fittings; drumming demonstrations; chair massages; acupuncture and facials; healing touch/yoga demonstrations; door prizes; refreshments and appetizers and much more. 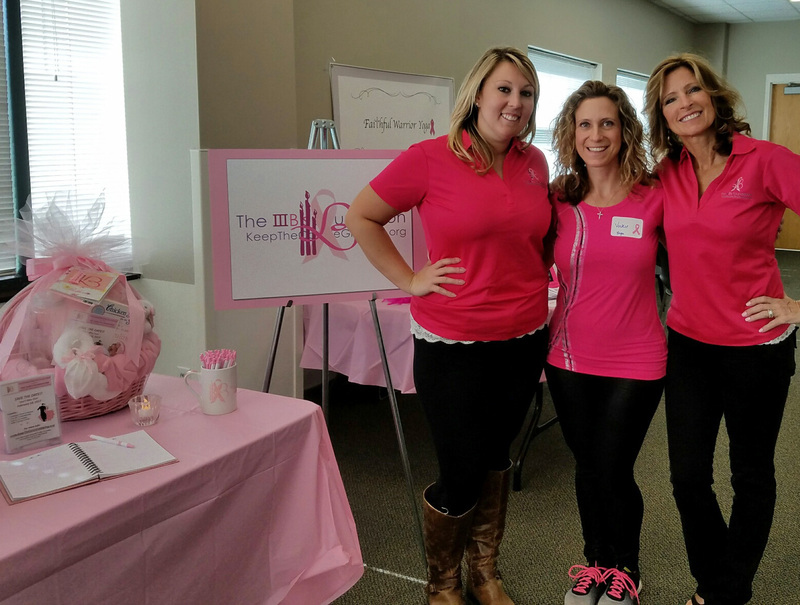 The IIIB’s enjoyed meeting and greeting these women who receive our Bosom Buddy Baskets at Inova Loudoun Hospital.